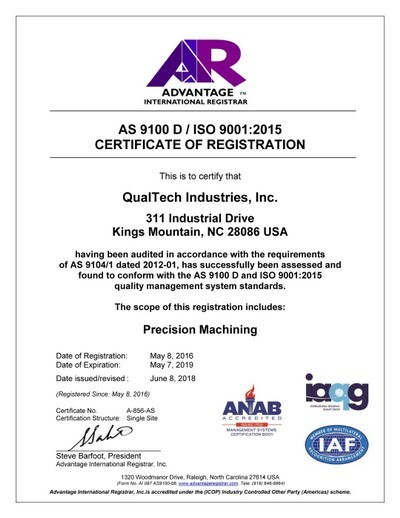 QualTech Industries, Inc. - NEWS - QualTech Industries, Inc.
FRIDAY 6/8/2018 - QUALTECH RECEIVED ITS CERTIFICATE OF REGISTRATION TO THE NEW AS9100D AND ISO 9001:2015 STANDARDS. WE ACHIEVED THIS DURING OUR AUDIT ON MAY 29TH AND 30TH WHICH WE PASSED WITH NO MINOR OR MAJOR NON-CONFORMANCES. WE THANK ALL OUR EMPLOYEES FOR THIS IMPORTANT ACHIEVEMENT. 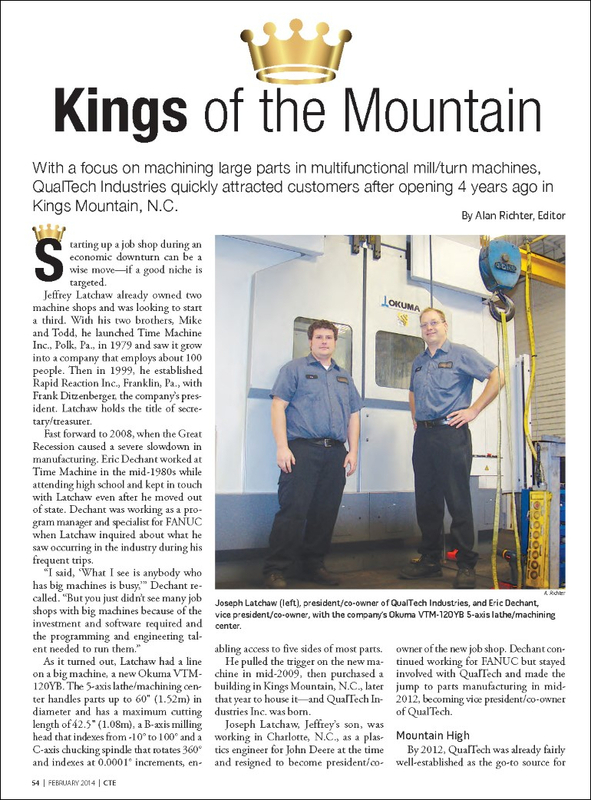 FRIDAY 5/15/2018 - QUALTECH IS FEATURED IN THE OKUMA AMERICA HIGHLIGHT VIDEO ON OKUMA'S MAIN HOMEPAGE. 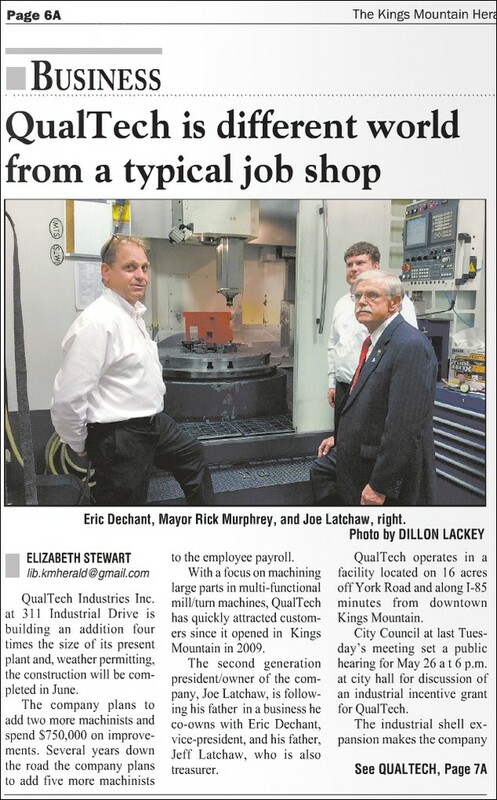 YOU CAN SEE OUR EMPLOYEES, EQUIPMENT, AND BUILDING IN MUCH OF THIS VIDEO. 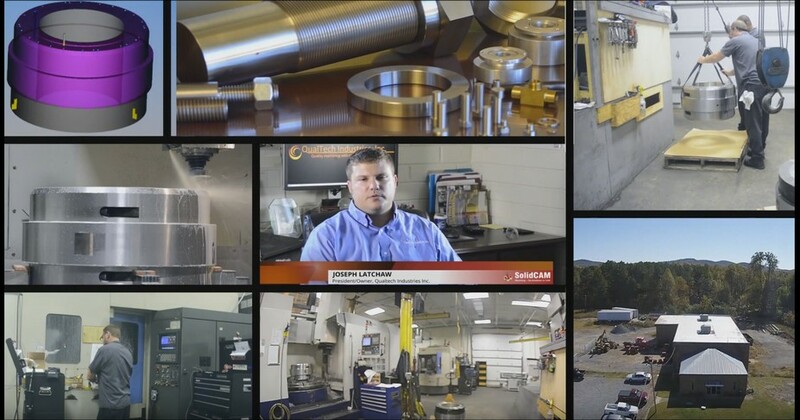 WE ARE IN BOTH THE SHORT VIDEO THAT AUTO PLAYS ON THEIR WEBSITE AND ALSO IN THE 2:18 OKUMA AMERICA HIGHLIGHT VIDEO THAT PLAYS IF YOU CLICK ON THE PLAY BUTTON. SEE THIS VIDEO AT HTTPS://WWW.OKUMA.COM OR BY CLICKING THE FOLLOWING LINK: HTTPS://YOUTU.BE/vhU7EZtc-U4 (2:18 VIDEO). 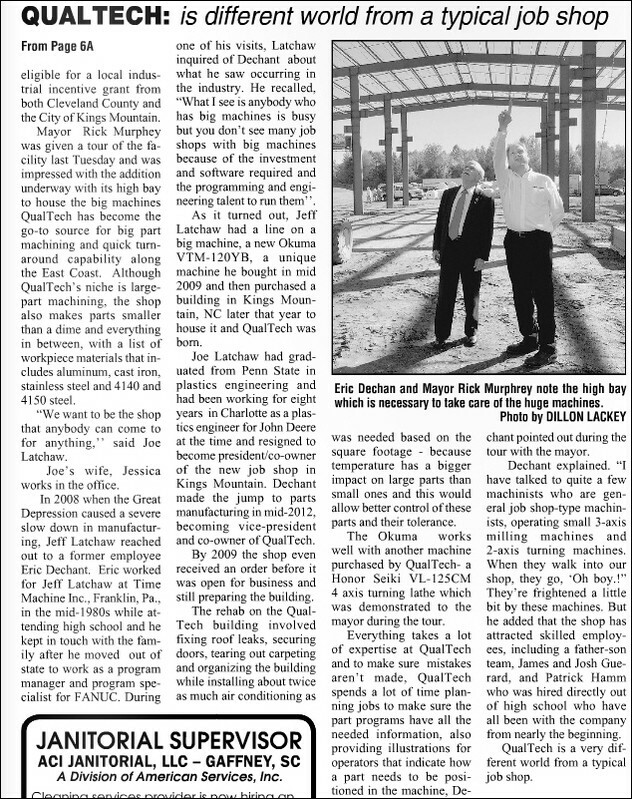 SATURDAY 10/22/2016 - QUALTECH CREW AT 1ST ANNUAL CARTOBERFEST IN KINGS MOUNTAIN, NC FOR A GREAT CAUSE TO BENEFIT BREAST CANCER AWARENESS. 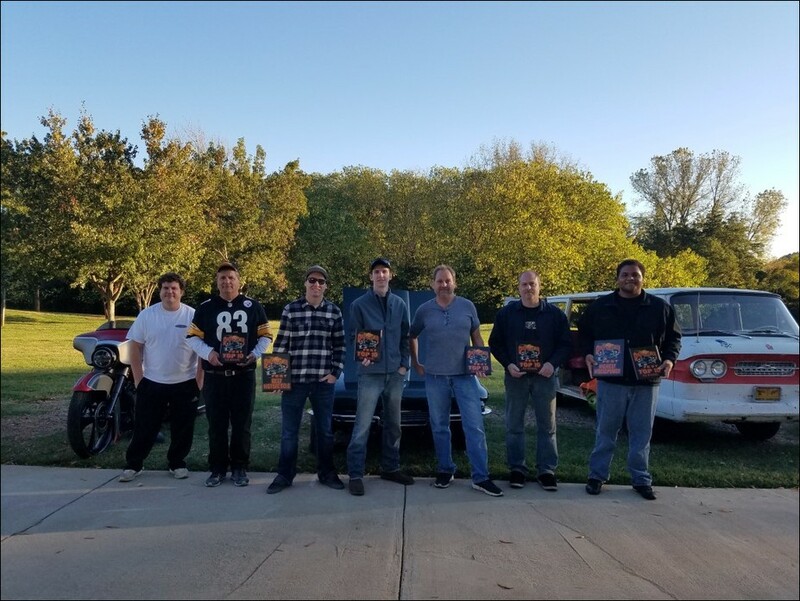 AS YOU CAN SEE IN THE PICTURE BELOW, EVERYONE FROM QUALTECH WHO ENTERED A VEHICLE DID WELL AND TOOK HOME AT LEAST ONE AWARD.